Master Limited Partnerships are all the rage on Wall Street. Known for high yields, favorable taxation, and exposure to a very popular sector (oil and gas, primarily), MLPs are the new “designer drug” for enterprising investors. Let’s work through the basics of MLPs, their tax structure, and their suitability in your portfolio. So, what is an MLP? A Master Limited Partnership are investment partnerships, not corporations. A partnership is an arrangement between many different partners, usually one or two general partners (who control all decision-making and operational decisions) and then limited partners. You would be a limited partner if you were to buy an MLP unit on a stock exchange. MLPs as we know them today are primarily involved in the ownership of oil and gas assets, mostly pipelines, but they can also own things like oil refiners. These partnerships manage these commoditized assets, collect income for their use, and then distribute that income to the general and limited partners who participate. 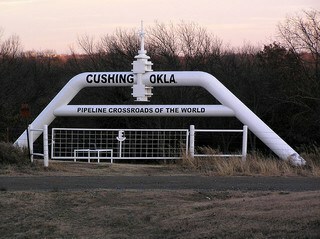 MLPs offer exposure to the oil and gas business with different risks. Whereas exploration company profits are almost entirely tied to the price of oil or gas, MLPs tend to have much more stable revenues in that their income is not tied to the current level of prices. MLPs bring interesting tax advantages that create an income stream with minimal taxation. MLPs are so very different from any other security you might buy or sell. When you own shares in a corporation – nearly all of the companies on the stock exchange – the income the corporation earns is taxed at the corporate tax rate (roughly 35% for American firms). If that income is then passed to the stockholders, the owner pays dividend taxes, which are, as of right now, 15% for long-term qualified dividends. When you own shares in an MLP, you are a member of a partnership. That means that all the accounting happens on your income statement, not the income statement of the MLP. Whatever the MLP earns is passed on to you without corporate income taxes. Instead, MLP profits are recorded by you as normal income and thus the income is subject to your normal income tax rate. But stop right there! There’s even more tax fun in the land of Master Limited Parterships: most of the money that comes back to you is not an accounting profit; most of the money that MLPs distribute to unit holders is untaxed. 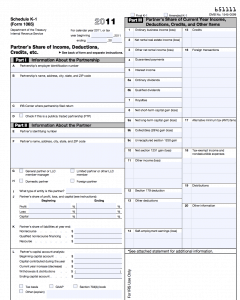 MLP distributions leave you with an IRS form K-1. The partnership form. When an MLP makes a distribution (think of it kind of like a dividend), the MLP returns income and a return of capital. What this means is that only a portion of what comes out as a distribution is income. Most is a return of capital – a return of your investment dollars. You see, MLPs are not corporations, and they’re involved in very capital-intensive businesses that own capital assets like pipelines. These assets depreciate. If they depreciate in a corporation, that depreciation charge is accounted for against income and it’s not a big deal – the company just distributes the cash that it can based on retained earnings which accounts for depreciation expense. In an MLP, all the cash is sent back, even the part that should be earmarked for depreciation. Let’s go through an example. You buy units of an MLP for $10,000. The MLP sends you distributions of $1,000 in the next year. On the K-1, you find that $800 of that was a return of capital, and $200 was income. Only the $200 is taxable, and it’s taxed at your ordinary income tax rate. The remaining $800 is not taxed…yet. The $800 remaining is just your money that is basically being returned to you. The IRS charges the return of capital against your cost basis. In this case, your cost basis would fall to $9,200 since you had $800 returned to you as capital and an original investment of $10,000. Only when your cost basis falls to $0 will returns of capital be taxed, but they’re taxed at capital gains tax rates. An MLP investment has to be a very long term investment in order to get the full advantages of the MLP setup. When you sell an MLP – let’s say you sell your shares in the future for $10,000 – you have $800 of returned capital that is “recaptured” by the IRS. That return of capital is taxed at your ordinary tax rates. So, in short, to maximize the value of an MLP, you want to hold for years, and years, and years to push off recapture as long as you can. If you have any familiarity with real estate depreciation, you’ll understand this concept – the return of capital is essentially a tax-free loan that can be reinvested and which will not have to be repaid until it is recaptured when you sell your MLP. Bad For IRAs: They’re really not suitable for an IRA because of rare, but possible, unrelated business taxable income – and MLPs are already designed to be tax efficient. That’s why companies like Kinder Morgan have made LLCs which own the MLPs, so you can invest more tax efficiently in your IRA. Waiting on the K-1: K-1 forms are usually distributed in March, which means you’ll have to completely lose the idea that your tax returns will be filed early. If you need your income taxes filed early to beat financial aid deadlines, for example, toss MLPs out the window. Complicated Investments: MLPs are tremendously complicated investment vehicles that require far more research than other investments. In the time it takes to evaluate an MLP, you could have probably researched 5 publicly-traded companies. 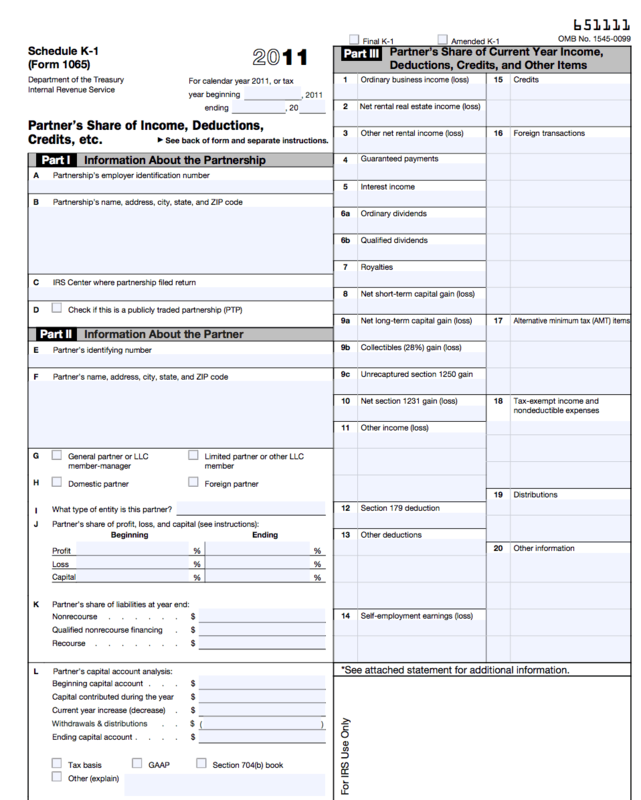 Complicated Taxes: K-1 forms are complicated for people who have not filled them out before. That adds accounting costs if you use a CPA to help with your returns. Long Term Tax Implications: To get the most from an MLP you have to buy and hold for a very, very long time. The revenue, income, whatever of the MLP may fundamentally change just a short time after buying, yet the really good benefits of MLPs doesn’t come until years after purchase. Fake Yields: Advertised yields aren’t as good as they appear. Since distributions are taxed as income, yields from MLPs aren’t exactly comparable to yields from untaxed municipal bonds or dividends, which are taxed at a lower long-term rate. All that said, if you have a very large amount of investment capital, you’re willing to dive into each and every nook and cranny of the MLP filings, complicate your tax returns, and tolerate holding an asset for years upon years, MLPs make for fantastic investments. I would think most retail investors wouldn’t be willing to clear those hurdles, however. What are your thoughts on MLPs? Do you own any in your portfolio? MLP’s have definitely grown over the years and it seems like either people love them, have no clue what they are, or stay away from them. The yields do look enticing, but you really have to look beneath the surface to see what’s going on. I am not a big fan of them myself and would tend to stay away from them because of the nuisance they can be come tax time. I’d like them if I could make them a small part of a diversified portfolio and could invest enough money to make the time to analyze them worthwhile. I don’t think that’s possible for 99% of investors, though. The easy way into MLPs removes all the benefits of owning them. I have some shares of KMI which allows me to invest in Kinder Morgan without all the tax complications. The main drawback is that it has a lower yield. Dividends are taxed as dividends rather than as income though. Yeah, there are MLPs structured as C-corps (which kills the tax problem) but you lose the advantages that make this asset class unique. I don’t yet own any MLP’s, but probably would have bought into KMP if KMI wasn’t an option. The same with LINE if LNCO wasn’t just made available. I’ve read about how UBTI taxes can be a pain in an IRA. In general, if the company you want to invest in has an alternative, you can keep things simple and bypass the MLP altogether. I’m sure the K-1 filing isn’t so bad, but what’s easier than having everything filed under just the 1040? I would argue that the complications with these investments can be managed. Though i wouldn’t recommend these to anyone who didn’t take the time to understand them. The highest quality MLPs work to make it as easy as possible to invest. That’s why you see new issues such as KMI which is structured as a corporation. Also they have another version ideal for IRAs: KMR. 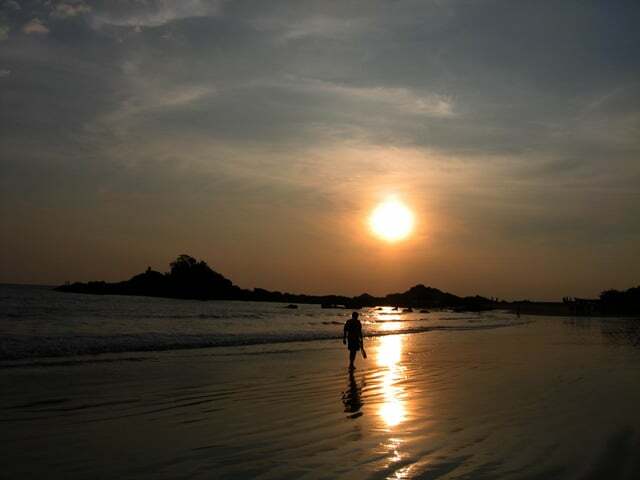 This investment issues shares instead of cash and has none of the problems found with IRAs. This is better than KMI since you dont benefit from the better dividend tax treatment when KMI is in an IRA. There is still good money to be made with these investments, they are underowned. Broad index funds and ETFs still don’t own them. I think there’s good money to be made and that they might be underowned because of complexity and index fund participation (or lack thereof). However, I think if you’re going to get into this space, going in with the “easy” options like the C-corp MLPs removes substantially all of the benefits of owning fixed assets like pipelines. I mean, the whole appeal is the depreciation cash flows (that’s what makes them unique) so why go with a c-corp formation?